One of our targets has been make things as simple as possible, this included making the gamepad configurations less painful providing a centralized mechanism: Set up your controller once and for all. But sometimes underlying details makes it hard to apply one rule for all, and that’s the case of the N64 controller (read The law of leaky abstractions for background theory). The RetroX fronted as well as emulators like RetroArch uses the SNES style controller as a basis for all systems, and a special derivate which is the PlayStation one, which simply add more buttons. 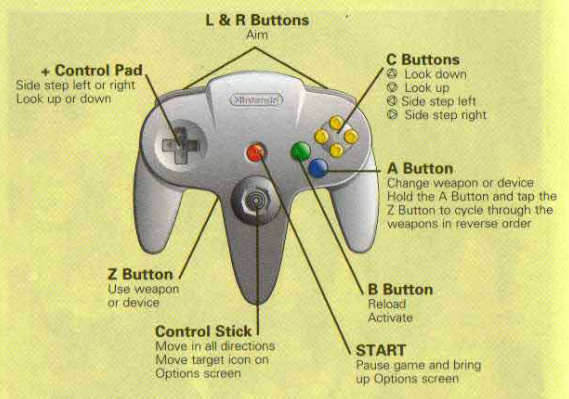 Most systems have just subsets of these two controllers, except for N64 where the controller is a completely different beast, a curious design to say the least. To play N64 without issues you need an N64 controller, everything else will be a hit and miss. Most emulators will request the users to map each button of their controllers but we wanted to stay away from that providing a standard configuration for SNES style controllers. As me (the developer) had almost zero experience with N64 beyond the intro of Super Mario 64, this simplification failed with other games, being Golden Eye 007 the icon if this problem. I changed the way that SNES style controllers are mapped adding the use of the right analog stick as “C dpad” buttons – the yellow ones in the N64 controller. 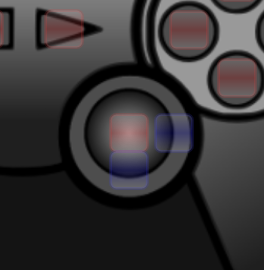 Using this configuration, the directional nature of the C buttons is kept and they remain as natural as possible for the intentions of the game designer. Given that the signals that right analog controls emit are not standard among all controllers, I added two new configuration points for the right analog control, just select them and follow the instructions so RetroX can learn about the codes used with your gamepad. You will see those new points in blue. Testing Golden Eye and having some experience with modern day first person shooters, it felt more natural to invert the analog controllers, so you can strafe with the left analog and move with the right analog. Now there is a new option to invert the analog controllers from the in-game options, or make it the default for your game in the game details screen -> “configure this game” option. And this was not enough again. The controls still seemed awkward by design, because the strafe left/right is combined with the look up / down while modern FPS games combine strafe with move forward / backwards. So finally I added a new option called “Optimized for Golden Eye” where not only the analog controllers work as intended, but also the trigger to shut the guns has been switched to the right (R2) and the aim is at the left (L2). I played Golden Eye some minutes with this new configuration and it is a world of difference. These new settings made the old Digital / Analog modes on N64 become obsolete, so now with the SELECT button you can easily switch between Original, Inverted and Golden Eye modes. I also added an experimental setting for users of the 8bitdo N64 controllers. As they are physically N64 controllers, I added an option to automatically map that controller when used in N64 games. As I don’t have that controller (yet), this setting is disabled by default and users must enable it in the Gamepad Options. I expect to receive good or bad feedback about this, considering it that it was done in the blind! Also I would like to give big thanks to the members of the RetroManiaUK Facebook group for giving me these ideas to improve the way RetroX works with N64 controllers. Games based on CUE files now are downloaded correctly from networked storages (NAS / Cloud). These are used by CD based systems like Playstation, PC Engine CD and Sega CD. Size measure of installed games coming from compressed files has been fixed. That’s all for now and and always, just enjoy! ← When will my favorite emulator be added to RetroX?